Bass-baritone Stephen Morscheck is an alumnus of Wheaton College and is widely respected for the dignity he brings in both concert and operatic performances. “Stephen Morscheck’s Leporello was genuinely funny, as well as solidly sung. His catalogue aria was almost too effective, drawing applause before its conclusion,” says Opera News of his performance in Don Giovanni. Of Verdi’s Requiem, The Boston Herald said he, “projected…with just the right thrilling, in-your-ear Verdian punch…Morscheck’s bass seemed the perfect medium for some of heaven’s sterner pronouncements.” This season’s engagements include numerous classical masterworks including Bach’s Magnificat and Handel’s Messiah with Camerata Chicago, Verdi’s Requiem with Southwest Florida Symphony Orchestra, St. Matthew Passion with Shreveport Symphony, and Mahler’s Symphony no. 8 with South Dakota Symphony Orchestra. Known for his stunning interpretations of oratorio repertoire, Mr. Morsheck is highly sought after on concert and recital stages. 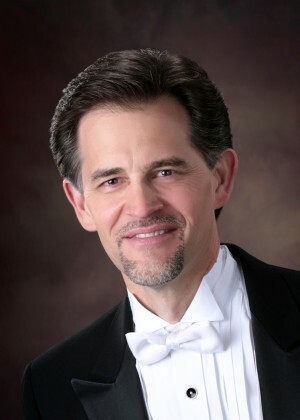 Recent concert appearances include Verdi’s Requiem with the Knoxville Symphony Society; Dvořák’s Requiem with the UNC Summer Music Festival; Haydn’s Lord Nelson Mass with the Music of the Baroque; Elijah with Opera Naples; Brahms’ Requiem with the Sheboygan Symphony; Mozart’s Requiem with the Sheboygan Symphony and the Southwest Florida Symphony Orchestra, Beethoven’s Symphony No. 9 with the Glacier Symphony and Chorale, Roanoke Symphony, Alabama Symphony, The Sheboygan Symphony Orchestra, and Wichita Falls Symphony Orchestra; Jesus in Bach’s St. Matthew Passion with The Bach Society of St. Lewis, Festival de Saint-Denis, Laudate Deum Chamber Choir in Switzerland, Boulder Philharmonic Orchestra, and Soli Deo Gloria under John Nelson; two concerts with Duke University Chapel for their Bach Cantata Series; Bach’s B-minor Mass with Alabama Symphony Orchestra; St. John Passion at the St. Vincent de Paul Church in Chicago, Costa Rica Philharmonic, and Bach Society of St Louis; and Händel’s Messiah with Pacific Symphony, Santa Fe Symphony, Rochester Chamber Philharmonic, Dallas Bach Society, Duke University Chapel, and Orchestra Kentucky. Recent opera engagements include Sarastro in Die Zauberflöte with Glacier Symphony, Count Capulet in Roméo et Juliette at Opera Colorado, Dallas Opera, and Florida Grand Opera; Capellio in I Capuleti e i Montecchi with Lyric Opera of Kansas City; Basilio in Il barbiere di Siviglia with the Orlando Philharmonic, Opéra de Montréal, Kentucky Opera, and Atlanta Opera; Commendatore in Don Giovanni with South Dakota Symphony; Bartolo in Le nozze di Figaro at Lyric Opera Baltimore and Dallas Opera; and Father Trulove in The Rake’s Progress at the Princeton Festival, where he previously performed Il Ré in Ariodante. Additional engagements include Palemon in Thaïs with the Lyric Opera of Chicago; Colline in La bohème with Los Angeles, Dallas Opera and Opéra de Montréal; Raimondo in Lucia di Lammermoor with Washington National Opera and Arizona Opera; Rocco in Fidelio at Opera Company of Philadelphia and the Florentine Opera of Milwaukee; Alidoro in La Cenerentola with the Lyric Opera of Kansas City, Orlando Opera, and Florentine Opera; Leporello in Don Giovanni with Opera Carolina; Sparafucile in Rigoletto with the Florentine Opera; Don Alphonso in Così fan tutte with Arizona Opera and Kentucky Opera; and Nourabad in Les pêcheurs de perles with Kentucky Opera. With the Spoleto Festival USA, appearances include Le Chiffonnier in Louise and John Adams in Amistad; and with the Santa Fe Opera, Publius in La clemenza di Tito. Notable engagements from earlier in his illustrious concert career include several appearances with the Ensemble Orchestral de Paris in repeat performances of both St. John Passion and St. Matthew Passion; with the Music of the Baroque in Chicago he has performed Mozart’s Requiem, Simon in Judas Maccabeus, King Arthur, and the title role in Hercules; Händel’s Messiah with the Toronto Symphony Orchestra, Dallas Bach Society, and Duke Chapel Choir; Dvořák’s Stabat Mater with the Berkshire Choral Festival; Beethoven’s Symphony No. 9 with the National Symphony Orchestra in Santo Domingo; Mozart’s Coronation Mass at the Spoleto Festival; Verdi’s Requiem with the Anchorage Symphony and University of North Texas; Beethoven’s Missa solemnis with the Milwaukee Symphony and the Choral Society of Durham; Bach’s B-minor Mass with the National Symphony Orchestra of Costa Rica in San Jose; Mozart’s Requiem with the Eastern Connecticut Symphony; and soloist in the Atlanta Opera’s La Belle Soirée. Mr. Morscheck graduated from Wheaton College and completed advanced degrees from the University of Michigan. In 1995, he was awarded the “Richard Tucker Career Grant.” He currently serves as an Associate Professor of Voice at the University of North Texas, Denton.